This paper investigates the concepts of time and space in the oeuvre of the composer Pierre Boulez, with the aim of engaging with his musical ideas and writings through visual arts. 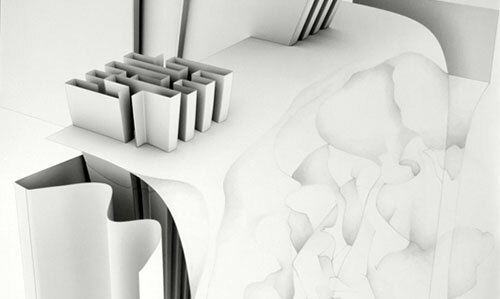 In particular, it focuses on the notions of the Smooth and Striated time-space shaped through a series of drawings that combine analogical techniques with Computer Aided Design. GUERRA-VALIENTE, Juan-Jose. Drawing the Diagonal. TRACEY, [S.l. ], v. 10, p. 1-26, apr. 2018. ISSN 1742-3570. Available at: <https://ojs.lboro.ac.uk/TRACEY/article/view/2452>. Date accessed: 26 apr. 2019.